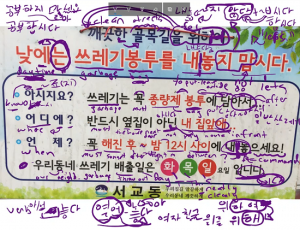 Notes: The word “알바” is slang for 아르바이트. Most new words in Korean originate from English. However, 아르바이트 originates from German. 올해 국제토론의 주제가 뭐예요? = What is the subject of this year’s international debate? 요금을 어떻게 내요? = How can I pay the fare? 너(의) 위치가 어디야? = Where are you? Notes: 해안 usually refers to the general area near the coast, whereas 해변 usually refers to the beach. 가족 is usually used when referring to the members of the family, but 가정 is more about the family as a whole and the interconnected relationships that make up the family. A good example is how it is used in the word 가정파괴자 (or 가정파괴범). This refers to the person who “broke” the family (a home-wrecker, I guess). Here, the home-wrecker didn’t break the individual members of the family, but broke the family as a whole and the relationships within it. 재료를 어떻게 섞어요? = How can I mix the ingredients? = You are going to be doing an experiment starting from tomorrow what (ingredients) do you need? Notes: This word is usually used before some other noun to indicate that it is some sort of “emergency” version of that noun. 유통기간은 언제까지예요? = How long until the expiration date? 이 단어를 언제 쓸 수 있는지 구체적인 상황을 설명해 주세요 = Can you give me a specific situation when you would use this word? 그 예쁜 여자도 데려오면 안 돼요? = Can’t you please also bring that pretty girl? 친구를 데려가도 돼요? = Is it okay if I bring a friend? 물을 어떻게 막는지 알아요? = Do you know how to block the water? = From this travel, in England, I will sightsee around the places I want to see in London, and also see the filming location of Harry Potter – (which will), and then cure my mind (re-charge myself) and then return. Today I was very tired because (while) I planned for my trip. Notes: This word is used when something is already broken. The verb used when a person breaks/cracks/smashes something is 깨뜨리다. 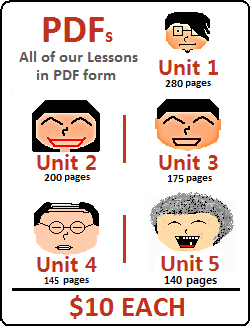 In this lesson, you will learn about adding ~는지 to indicate that the preceding clause is a guess or something uncertain. Let’s get started. I didn’t know what title to give to “~는지,” but I came up with the “clause of uncertainty” which I feel describes it well. By placing ~는지 at the end of a clause, you can indicate that the clause is some sort of guess, question or uncertainty. 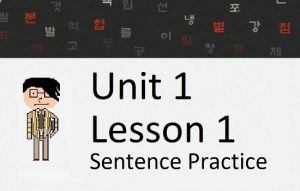 You will continue to see “모르겠다” used instead of a present tense conjugation of 모르다 in the rest of this lesson and throughout your Korean studies. There really isn’t any difference between the two sets of sentences, especially in speech. Both sets of sentences sound natural to a Korean speaker. However, the correct grammatical form is to use ~았/었는지, and the use of ~ㄴ/은지 is more used in spoken Korean. English speakers are often confused about how the same Korean sentence can seemingly translate to different things in English. My answer is: They don’t translate to different things. The Korean usage of “~ㄹ/을지 몰라요” just indicates that something may or may not happen. Both translations above (“I don’t know if” and “might…”) indicate that something may or may not happen. Remember that sometimes it is difficult to translate a Korean sentence perfectly into English. As such, I always suggest that you understand the general meaning of the Korean sentence, and try to focus less on the given English translations. The nuance of using “~ㄹ/을지 몰라요” can translate to many things in English, all which (as a result of being a completely different language) cannot perfectly describe this nuance. Remember that Korean people love shortening their sentences, and taking out the redundant “공부” the second time around is more natural in Korean. 서울에 어떻게 가는지 알아요? = Do you know how to get to Seoul? 그 단어를 어떻게 발음하는지 알아요? = Do you know how to pronounce that word? 그 학생이 책을 왜 버렸는지 알아요? = Do you know why that student threw out his book? Also note that there is another way to say that one “knows how to do something” (which is more based on ability than knowing something). This other way is discussed in Lesson 85. Recently, I had discussions with many people to try to better understand this nuance. I want to show you conversations I had with two people because I think it will not only help you understand how subtle this difference is, but it will also show you that even Korean people don’t really know what the difference is. My first conversation was with a Korean person who is a fluent English speaker. Below is how our conversation went. Her: The use of ~도 makes it seem like you don’t know if it will happen or not. It’s possible that it will happen, but it is also possible that it won’t happen. Me: But isn’t that sort of implied in the first sentence as well? I feel like the use of ~도 adds that extra nuance that something might happen or not. Me: I just talked with another Korean person, and she said that the use of “~도” in the second sentence sort of implies those two possibilities as well. She said that the second and third sentences had the same meaning. What do you think about that? Her: I don’t feel that way when I hear it. I feel the first two are the same, and the third one is listing more possibilities. Have the same, or effectively the same meaning. Let me take a minute to explain when you would use ~도 in this case. ~도 is added to uncertain clauses that are conjugated in the future tense to express one’s uncertainty of if something will happen in the future (or not). You will typically not see ~도 added to an uncertain clause in the past or present tense unless it is being used to have the meaning as discussed in #1 above. Again, this usage is not the usage of ~도 from #1 above. In that usage, ~도 can be added to ~는지, ~았/었는지 or ~ㄹ/을지 to have the meaning that ~도 usually possesses when it is added to nouns. It can also be added to uncertain clauses that have question words. I will discuss this meaning in a future lesson. Wow. All of that work to understand one syllable. We’re not done yet. That syllable (지) has another meaning… one that is easier to dissect. When ~는지 is added to 가다, notice that there is no space between 가다, ~는 or 지. In this usage, ~지 is not a noun but instead just a part of a larger grammatical principle that can be attached to verbs or adjectives. 지 has another meaning, and it is completely unrelated to the meaning of ~지 that was described earlier in this lesson. I would like to talk about this other meaning in this lesson as well. In this other meaning, you will see ~지 used after a verb with ~ㄴ/은 attached to the verb. I want to take a moment to explain what you are seeing here. In this same respect, 지 is also a noun. However, this is the type of noun that I like to call a “pseudo-noun.” These are nouns that can be described by a verb (using ~는 것) or by an adjective (just like any other noun), but they can’t be used on their own. Let’s put this construction into a sentence and look at how this could be translated. That’s the explanation for 지. 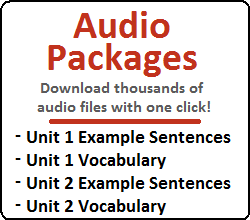 Before I get into some deeper discussion, let’s look at some examples to get you familiar with these types of sentences. In the example sentences below, the translations are assuming that the action is still occurring, and thus, the speaker is referring to how long it has been since the action started. I already discussed the idea that “지” in the sentence “밥을 먹은 지 5분 됐다” can be used to refer to the amount of time that has passed (to the present) since one started eating, or since one finished eating. You would have to rely on context to know specifically which translation would work best. The sentence above would be used if you are currently married, but not if you are not currently married. In trying to understand which verbs can hold this dual meaning – my brain keeps trying to tell me that it is related to whether or not the verb is able to repeat or continue itself. For example, when you eat, the act of eating is not one instant, and the action continues to progress. You would have to still be married to say that sentence. You never “started” getting married. You never “stopped” getting married. You just got married, and “지” represents the time from that point until the present. In this case, 오다 refers to the (completed) action of arriving in Korea. It doesn’t start, and it doesn’t finish. It just happens, and “지” represents the time from that point to the present. Thus, you would have to still be in Korea to say that sentence. You would have had to have graduated to say that sentence. You never “started” graduating. You never “stopped” graduating. You just graduated, and “지” represents the time from that point until the present. English speakers will quickly point out that “I ate for two hours” and “I had eaten for two hours” do not have exactly the same meanings. Korean people usually don’t distinguish between these two meanings in their sentences and instead rely on context to make the specific meaning clear. 한국어를 공부한 지 얼마나 되었어요? = How long have you been studying Korean? 운동한 지 오래 됐어? = Have you been exercising for a long time? 여기에 있은 지 얼마나 되었어요? = How long have you been here for?